To continue earlier tours for students who are interested in environment and society fields. 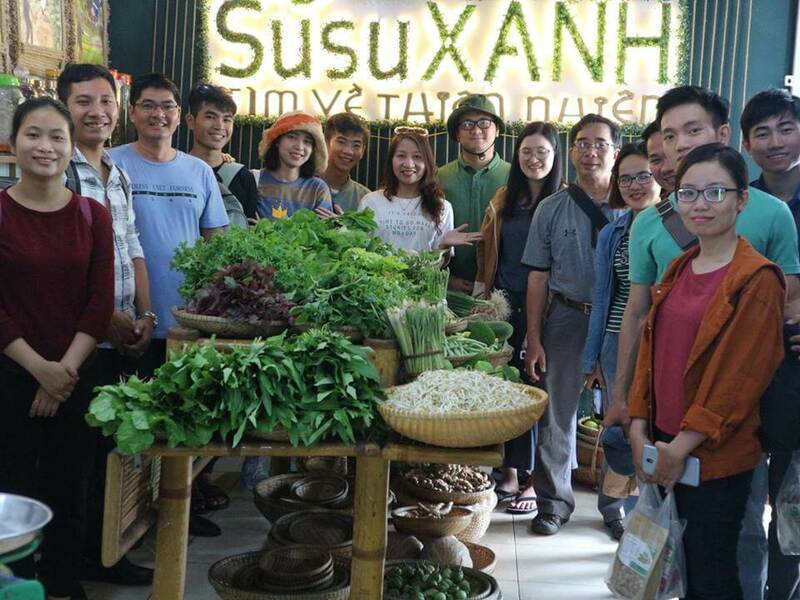 On 7th November, 2018, the Center for Social Research Development (CSRD) has been hosting a study tour for 11 Master students in Environmental and Resource Management branch at Can Tho University. 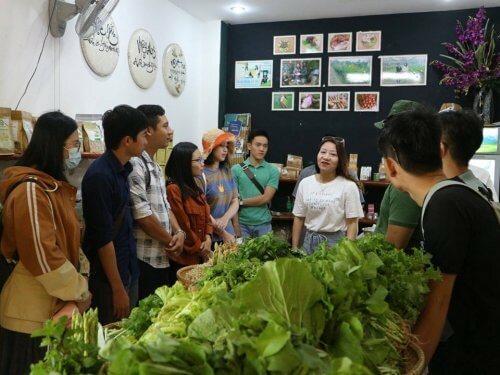 Students visited the Green Susu vegetable shop at 30 Dong Da street, Hue city; mangrove forest in Con Te and Ru Cha, Huong Phong commune (Huong Tra town) and waste classification model at Hoang Kim Hoan Secondary School, Hai Duong Commune (Huong Tra Town), Thua Thien Hue Province. 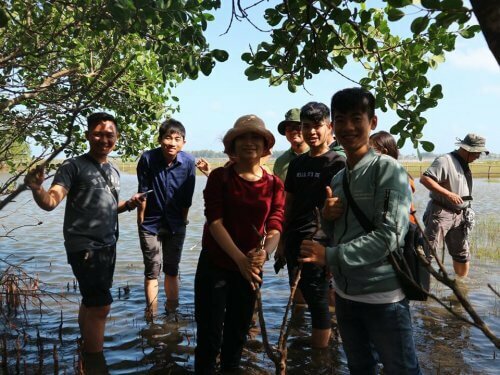 Visited Con Te mangrove in Huong Phong commune – Huong Tra town. 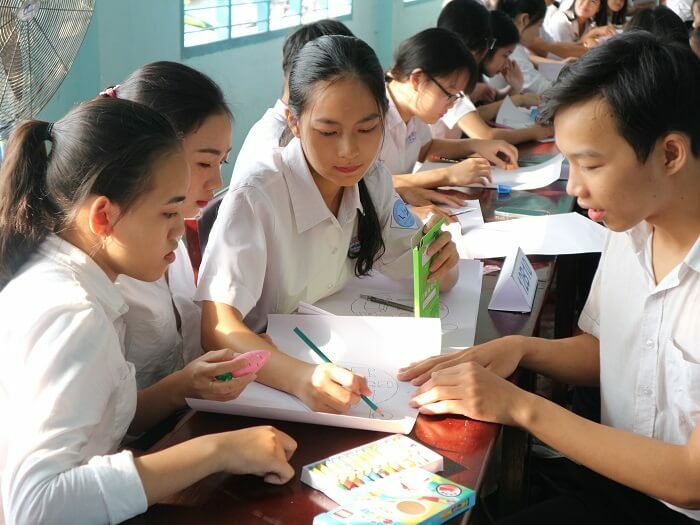 The students’ program aimed to learn, and to connect their knowledge in school with practical activities. 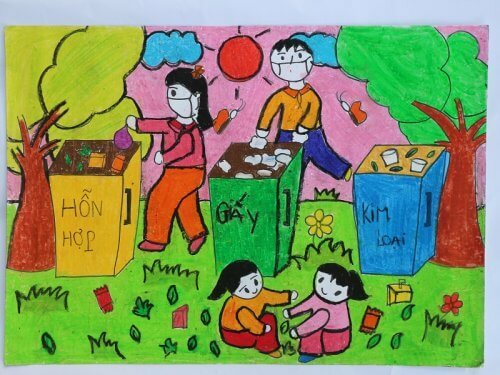 These activities give students a chance to learn more about social issues, organic agriculture, coastal mangroves, the benefits of waste classification activities at the source, etc. Floods are amongst the most devastating natural disasters, especially in Asia. Sea-level rise, changing rainfall patterns due to climate change as well as rapid urbanization result in increased flood risks at Asia’s coasts and inland areas. Developing countries are especially vulnerable to floods due to their limited capacity to prevent and absorb disaster effects. 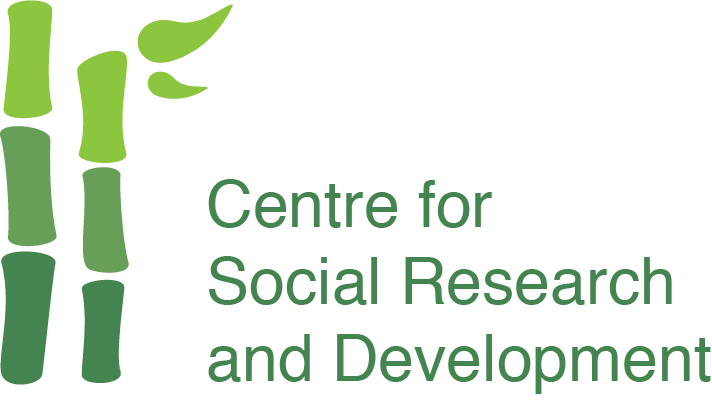 Furthermore, within developing countries the poorest people are often the most vulnerable, as they live in the most threatened locations and struggle to adapt due to income constraints. Women present another vulnerable group, because they commonly experience disadvantages in social, cultural, economic and political domains as well as legal status and opportunities. These socio-cultural circumstances lead to increased deaths among women during floods, and higher poverty rates due to more unemployment and a lack of basic rights. Moreover, women face more psychological stress during and after a disaster due to the women’s caretaker role. To limit the impacts of floods, ‘structural measures’, such as dikes or reservoirs, are the main focus of flood management in many regions within Asia, including Vietnam. However, these measures are often associated with negative impacts on the environment, on which especially poor and vulnerable communities depend on. 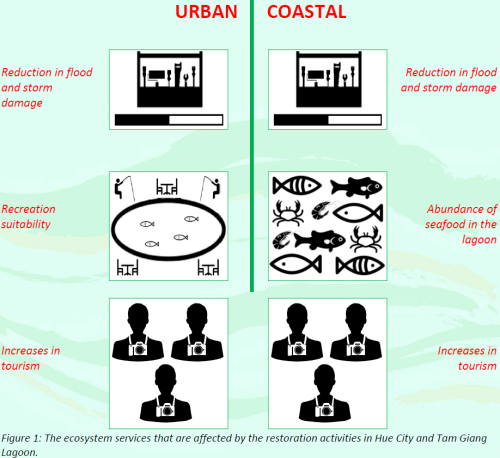 A useful and complementary approach is Ecosystem-based Adaptation (EbA). 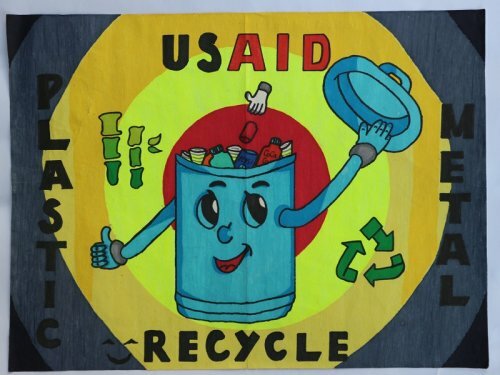 EbA is a more inclusive approach that takes into consideration vulnerable groups, whose livelihoods directly depend on natural resources, and make it a possible means to strengthen their position by offering multiple benefits. These measures also seem promising to help achieve Sustainable Development Goals (SDGs) 5 (Gender equality), 10 (Reduced inequalities) and 13 (Climate Action). 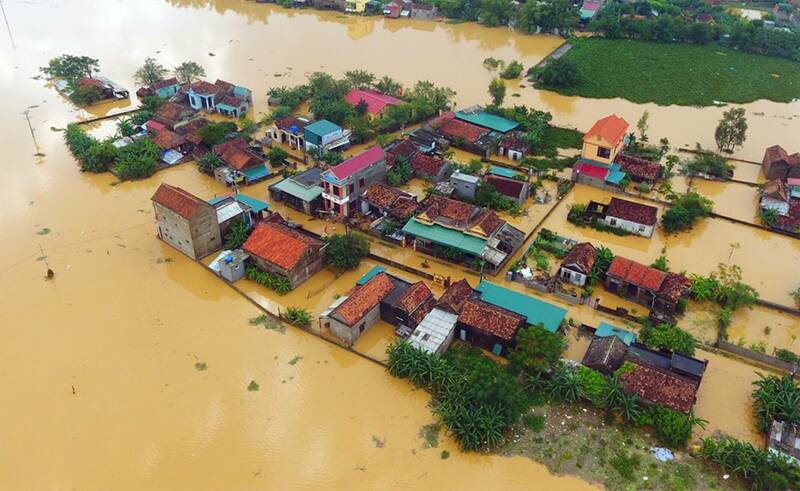 The Vietnamese province of Thua Thien-Hue is regularly hit by floods, which stand to get worse in the future. Recent flood events in November 2017 resulted in a cost of 830 billion VND and led to the loss of nine lives. The threat posed by floods makes adapting and managing flooding a highly urgent matter. 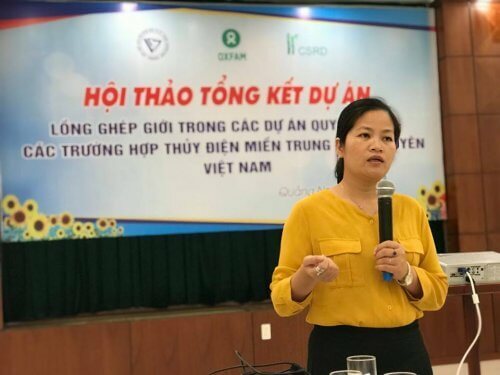 At the same time, many of Thua Thien-Hue’s coastal communities suffer from unstable livelihoods and insufficient (financial) resources to recover from disasters. On average, 55% of a household’s income and a little less than 20% of the household’s food consumption comes from seafood, showing the importance of this natural resource. Additionally, women do not have a strong decision-making role and as such are often left out of adaptation and management plans. In 2018, two EbA measures will be implemented in Thua Thien Hue Province jointly with the Disaster Management Centre, the Women’s Union and local communities. Both EbA measures aim to reduce flood risks while simultaneously supporting local livelihoods. 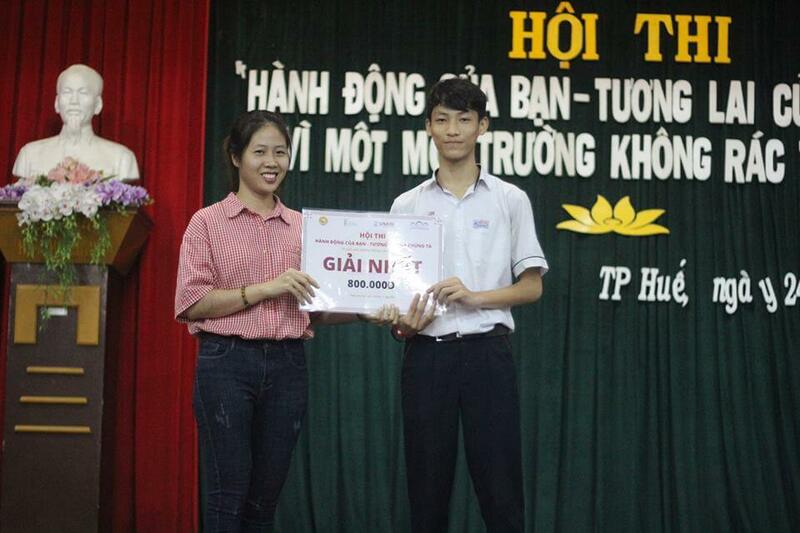 In the old town of Hue City, we will restore urban water bodies. These are important water retention areas during heavy rainfall events. Moreover, many households live near the ponds or visit them frequently: about 50% of the respondents visit them at least once a day, which means the ponds and their appearance have a significant impact on the way people experience their environment. 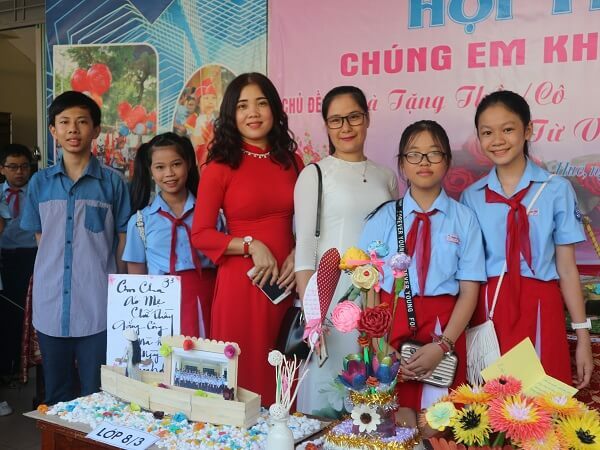 At the Tam Giang Lagoon, mangrove restoration will take place. Mangroves can help reduce wave and tidal energy as well as coastal erosion. Moreover, they improve water quality and provide important breeding grounds for fish. Here we will provide evidence that both measures hold up to the promise that EbA is favored by vulnerable groups, and is therefore more inclusive. 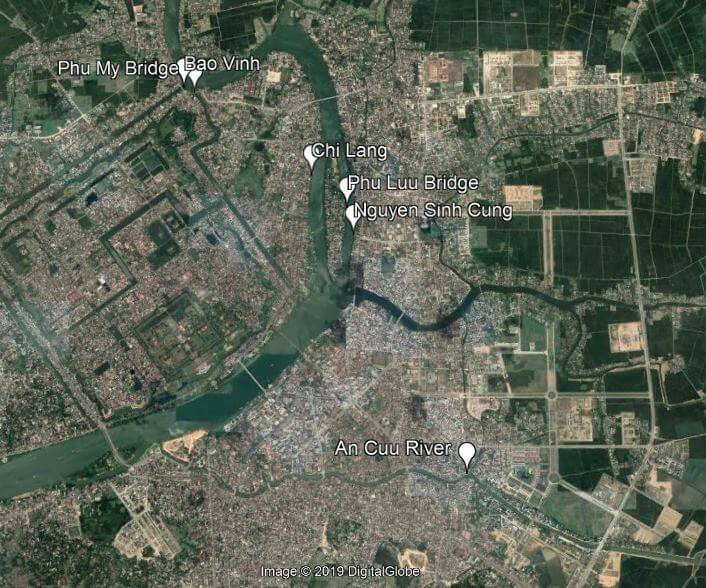 For this study we conducted 1010 comprehensive household surveys across Hue City and the Tam Giang Lagoon. The comprehensive survey included a discrete choice experiment (DCE). A DCE is a valuation method that is widely used to value goods that are not (yet) sold on the market and is commonly applied. 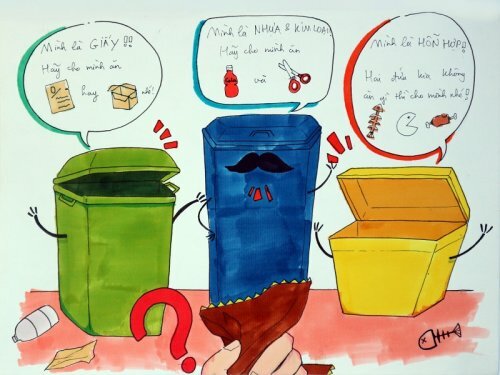 A DCE involves making choices between different packages that consist of changes in ecosystem services and a payment for these changes. By observing the trade-offs that respondents make it is possible to estimate relative values of the goods. This reveals the willingness-to-pay (WTP) of the local households for changes in the ecosystem services that are affected by the EbA measures, which are presented in Figure 1. 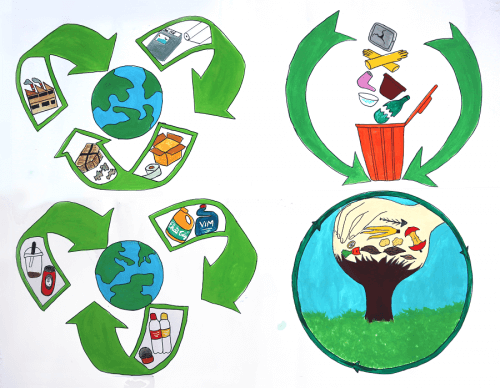 We find that there are positive WTP values for all ecosystem services. This indicates that the households in both sites see benefits from the EbA measures that they are willing to pay for. 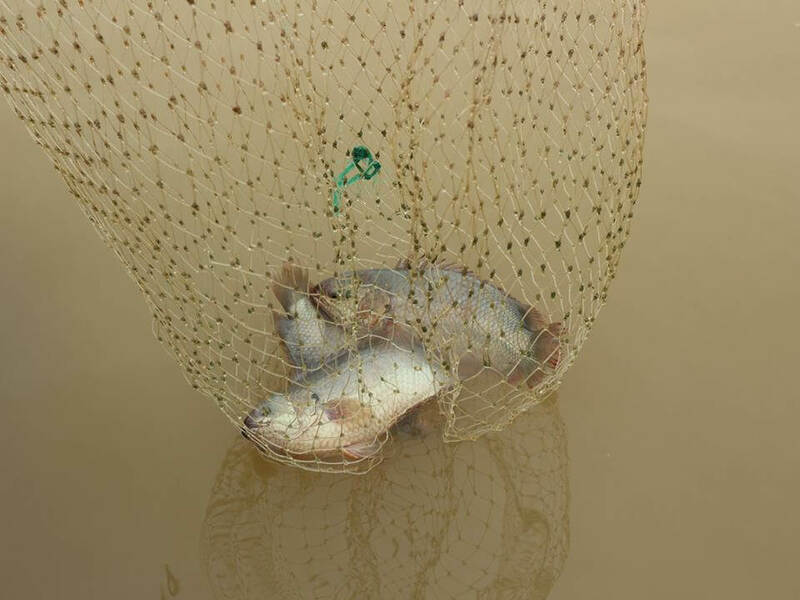 At the Tam Giang Lagoon the most valued change is the increase in seafood abundance. A change in recreation suitability, i.e. a cleaner urban areas with more opportunities for recreational activities, is valued most in Hue City. To investigate if EbA is more inclusive, we divided our sample in two sub-samples according to income and gender differences. Figures 2 and 3 show the estimated WTP for households above and below the mean income of our sample. It is clear that lower income households are willing to pay more for the benefits from EbA. While these households have less money to spend, they stand to gain more due to their current vulnerability. For example, less damage to their property means smaller repair costs and an overall safer environment, whereas increases in tourism, or recreation suitability, can lead to better employment and business opportunities. The potential increases in seafood abundance result in more stable livelihoods and food security. Via the gender sub-samples we find that women have higher WTP values for all the ecosystem services, except for changes in tourism in Hue City, where WTP values are more or less the same (see Figures 4 and 5). An increase in protection from storms and floods not only protects women and their family’s lives during a flood, but also means that the work that needs to be done during the flood itself and the aftermath is reduced. Positive changes in seafood abundance and recreation suitability mean a more secure and pleasant environment for their household. The development of tourism provides interesting opportunities for women to increase and stabilize their income, especially in the rural areas where little other job opportunities arise. EbA is a possible means to adapt to climate change and can reduce the risk of disasters while simultaneously improving the flood resilience of those that are especially vulnerable to the impacts. 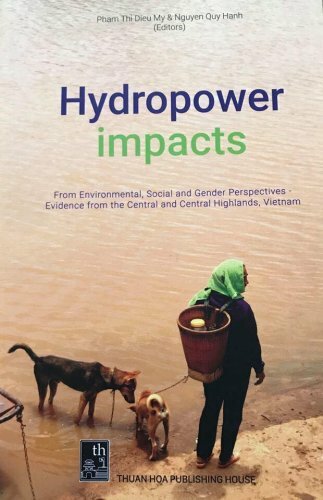 Analyses focusing on the role of women and the poor in EbA measures implemented in Central Vietnam, such as the restoration of urban ponds and mangroves, provide an evidence in favor. Lower income households as well as women, in both urban and coastal areas, hold higher values for the changes that occur due to these measures, which not only reduce the risk of climate change impacts, but also present (new) livelihood opportunities and income security. It is therefore recommended to consider complementing structural measures such as dikes or reservoirs with EbA measures, and look into locations where EbA measures can replace hard measures altogether. 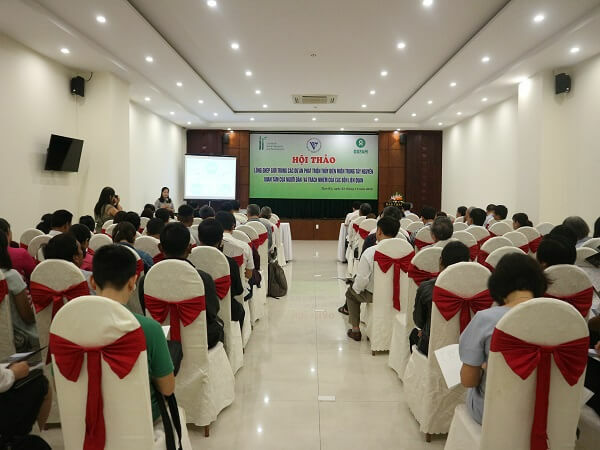 The policy recommendations across all of the ResilNam activities can help increase flood resilience of urban and coastal communities in Thua Thien-Hue Province. 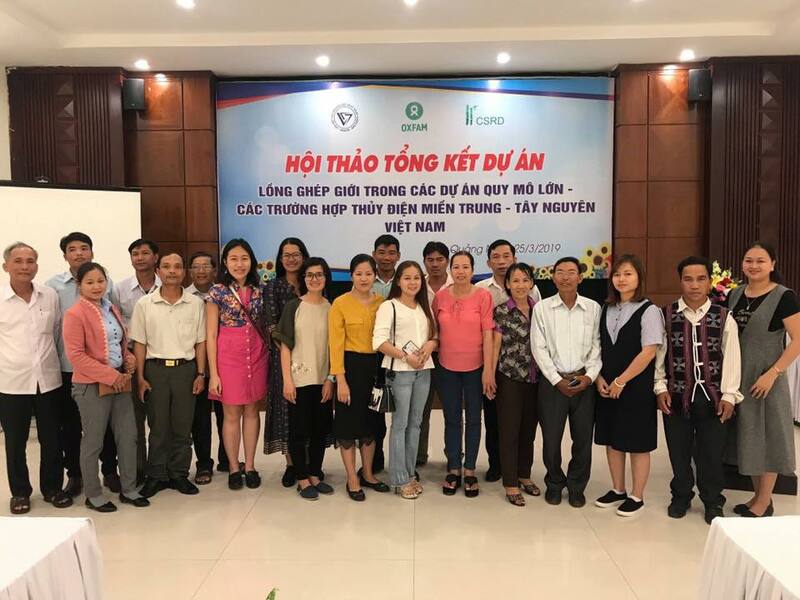 Additionally, the ResilNam directly invests in ecosystem-based adaptation measures in collaboration with local stakeholders to increase flood resilience and strengthen the role of women in disaster risk management. 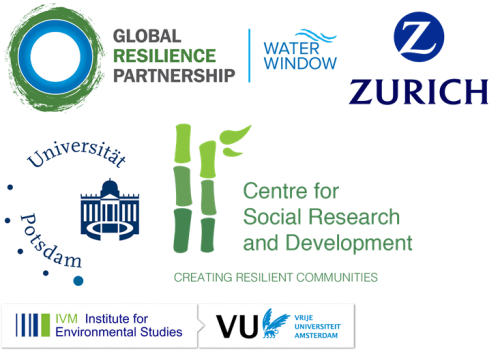 The project is part of the Global Resilience Partnership Water Window and it is implemented by the University of Potsdam, the Centre for Social Research and Development and the Institute for Environmental Studies/VU University Amsterdam.